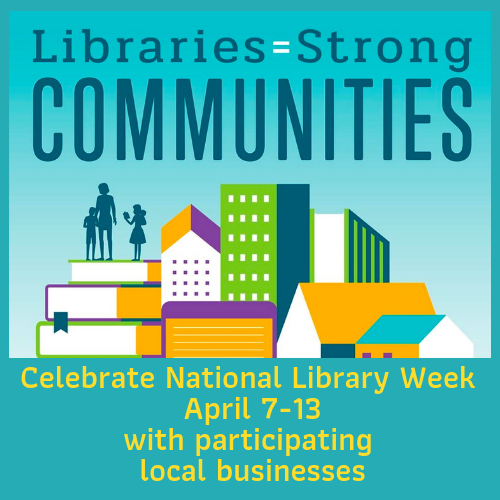 Celebrate National Library Week April 7-13, 2019. Show your Ellsworth Public Library card at local participating businesses during this week to receive a discount, coupons for a free item, or get a special treat! Pick up a list of participating businesses at the library.